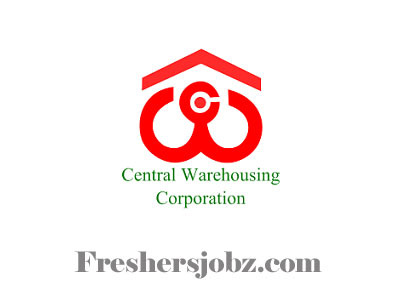 CWC Notification 2018.Central Warehousing Corporation has released a notification for the recruitment of General Engineer, Secretary,Deputy General Manager, Superintending Engineer, Executive Engineer and more vacancies.Check the eligiblity and notification prior to apply for the positions. Degree in civil engineering holders can apply for Executive engineer & superintending engineer posts. For remaining posts applicants those who have done post graduation/ CA can apply. Maximum upper age limit for Assistant general Manager, Manager and Executive engineer is 40 years. Maximum age for other position applicants is 45 years. Through interview test contenders will be recruited out. Mode of applying for Central Warehousing Corporation is through offline mode. 01st November 2018 is the last date to submit applications. http://cewacor.nic.in is the link to download application form and send to below given address. Group General Manager (Personnel) Central Warehousing Corporation Warehousing Bhawan, 4/1 Siri Institutional Area August Kranti Marg, Hauz Khas New Delhi-110016.